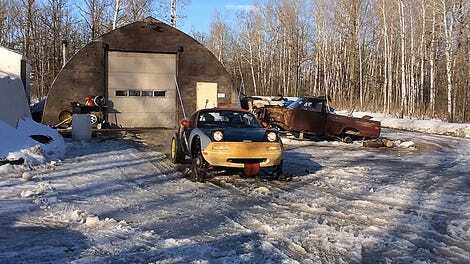 For anyone who survives the inevitable nuclear fallout that will end most of humanity, it’s good to know that we’ll still have an opportunity to get out and have a ton of fun on the turbocharged Skidoo snowmobile you salvage from Ken Block’s long-abandoned warehouse of fun stuff. Obviously the Hoonitruck won’t do you any good when the roads are coated in the ash of an apocalypse. There just isn’t any grip. 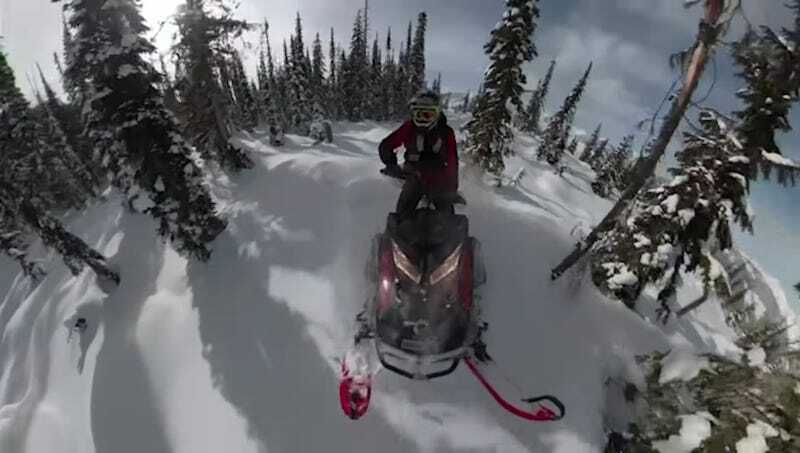 If Mr. Block’s Raptor on tracks has already gone missing, your best bet is to grab the key to this Skidoo Summit Freeride 850 with a SideKick turbo kit from BoonDocker. The turbo kit is great for compensating for altitude, which helps because you’ll want to build a new civilization above the fallout cloud if you can. While an 850cc two-stroke twin would normally provide tons of power, adding forced induction makes for a healthy addition. With the turbo kit installed, Ken has clocked a 0-60 time of just over 3 seconds with this rad little ride, and that’s on snow, mind you. That kind of quick acceleration and monsterous top speed will help you evade the back country gangs of looters that are coming for your merry band of survivors. Speed, my friends, is always the great safety net. For as long as you can find pump gas, this ripper will be right by your side, ready to get you out of some serious trouble. It’s even got a super twee charcuterie board for when you get peckish evading the weirdly mutated bears and wolves. If I just survived nuclear holocaust, I’m still gonna send it. What are you, silly?